Although secondary school violence has actually decreased, public concern over student safety is still prevalent. One response to publicized school violence has been the implementation of security measures (metal detectors, cameras) and policies (visitor sign in, locked doors). While these changes may decrease school violence, little research has examined the effect these security measures have on student perceptions of school safety. Utilizing the National Longitudinal Study of Adolescent Health (AddHealth), this study found that metal detectors and the number of visible security measures employed in school were associated with a decrease in student reports of feeling safe. 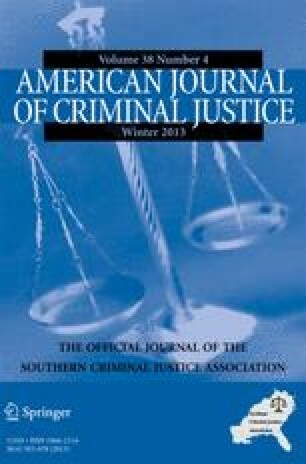 Students who were male, White, had higher GPAs, and reported feeling safe in their neighborhood were more likely to report feeling safe at school, while those who experienced prior victimizations, had larger class sizes, and who attended schools that had disorder problems were more likely to report not feeling safe at school. This research uses data from Add Health, a program project directed by Kathleen Mullan Harris and designed by J. Richard Udry, Peter S. Bearman, and Kathleen Mullan Harris at the University of North Carolina at Chapel Hill, and funded by grant P01-HD31921 from the Eunice Kennedy Shriver National Institute of Child Health and Human Development, with cooperative funding from 23 other federal agencies and foundations. Special acknowledgment is due Ronald R. Rindfuss and Barbara Entwisle for assistance in the original design. Information on how to obtain the Add Health data files is available on the Add Health website (http://www.cpc.unc.edu/addhealth). No direct support was received from grant P01-HD31921 for this analysis. The authors would like to thank Lynn Addington, John Sloan III, Heith Copes, and the two anonymous reviewers for their comments on a draft of this manuscript. McDevitt, J., & Panniello, J. (2005). National assessment of the school resource officer programs: Survey of students in three large new SRO programs. National Institute of Justice final report. http://www.ncjrs.gov/pdffiles1/nij/grants/209270.pdf. Accessed 27 January 2011. Udry, J. R., Bearman, P. S., & Harris, K. M. (2008). Add Health study design. http://www.cpc.unc.edu/projects/addhealth/design. Accessed 3 December 2008. University of North Carolina Population Center (2009). Design facts at a glance. http://www.cpc.unc.edu/projects/addhealth/design/designfacts . Accessed 7 April 2009. University of North Carolina Population Center (2010). How do I code gender changes between Wave I and Wave II? http://www.cpc.unc.edu/projects/addhealth/faqs/aboutdata. Accessed 15 July 2010.